The first model of 40 mile-long transportation link is expected to be presented to the public as early as September. Russian Transport Minister Maxim Sokolov has invited California-based company Hyperloop One to build a high-speed vacuum transportation link in the Russian Far East. The project could be implemented in the Amur region to transport cargo from China, Sokolov told journalists at the St. Petersburg Economic Forum on June 16. The minister suggested that the project could be carried out with state support and become part of the Priamurye-2 transport corridor linking China's Jilin province with the port of Slavyanka in the south of Russia's Maritime Territory. The link would have an annual freight capacity of 10 million tons, he said. Sokolov said investors believe the construction of the 43 miles long Hyperloop link will be 30 percent cheaper than the cost of building a conventional railroad, estimated at 30–40 billion rubles ($463-616 million). 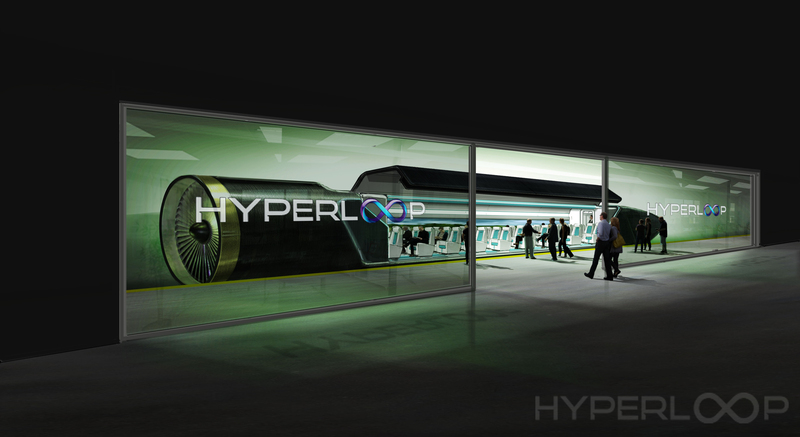 A Transport Ministry source told RBC business daily that Hyperloop would be responsible for finding investors. Hyperloop One co-founder Shervin Pishevar visited this year's St. Petersburg International Economic Forum to present the innovative high-speed transportation project, first tested in Nevada in May 2016. The company and the Transport Ministry have agreed to set up a working group for the construction of a high-speed transportation link in Russia. "We have agreed that we shall start developing the project immediately to be able to present the first model already at the Eastern Economic Forum in Vladivostok in early September," Sokolov told Russia's NTV channel. In June 2016, RBTH reported that Russian Railways and Hyperloop had set up a working group and were discussing cooperation. Hyperloop One already has an investor in Russia, the Caspian VC venture fund owned by businessman Ziyavudin Magomedov. The Hyperloop high-speed transportation project was first presented in 2012 by inventor Elon Musk, the founder of Tesla Motors and SpaceX. The system's vacuum transportation capsules can develop speeds of up to 760 mph. This futuristic idea is currently being implemented by two competing American companies, Hyperloop Transportation Technologies and Hyperloop One. Their projects differ in technological approach: HTT uses an air cushion system; Hyperloop One, passive magnetic levitation. In March 2016, Mashable reported that Hyperloop Transportation Technologies had signed an agreement with the Slovak government for the construction of a supersonic transportation system linking Bratislava with Vienna and Budapest.